Free Sniper Games, Artillery and Catapult Games, Flash Spaceship Shooters, First Person Shooter Games. 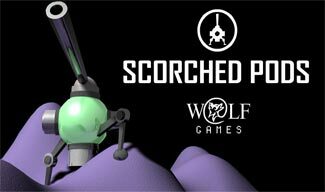 Attempt to take out all of the enemies in the planetary complex by carefully avoiding fire. 3D first person shooter. This should bring back some good memories from the original Doom, Hexen, and Heretic games. Become a hired assassin. Earn cash by completing missions to buy weapon upgrades and equipment. Protect the base from armed intruders. Military style shooting and upgrades. Purchase weapons. Shoot soldiers and zombies as you try to survive in this first person shooter. Collect ammo, health bonuses, and weapons. Test your reflexes against nine computer opponents in one-on-one gun fights. Gunblood includes four bonus rounds. Navigate through the outdoor base in this 3D first person shooter. Find and collect health boxes to stay alive. 3D First person shooter. Quick reflexes and fast shooting are required to make it past the enemy guards in the complex. Careful planning is required to stay alive which includes taking cover behind walls to avoid enemy fire. Save the world from the GlobeX corporation who is using an army of clones to destroy the Strike Force. In the latest in The Last Stand Series fight off zombies in Union City and save your wife. Upgrade your soldiers one at a time to create the ultimate team. Countless weapons, armor and equipment. Build a team of apocalyptic survivors to rebuild civilization. Find shelter and supplies while killing the zombies. First person shooter style game with 3D graphics. The gameplay has adventure modes and sniper elements. Complete missions in the Forbidden lands in this birds-eye shooting game. Shoot at crates and kill enemies. Shoot at enemies in this underwater shooting game. Run along the bottom of the ocean as you shoot at cubes. You are now on the tracks of Jack Fiero, one of the biggest mafia bosses, but first you must find Joe Brown. Kill other snipers before they kill you in this shooting game. Complete missions and earn stars to unlock more levels. Utilize your ten bullets wisely, wait for the perfect shot to trigger a chain reaction with massive explosions. Prevent the extinction of the dinosaurs by shooting the falling meteors. Meteors of different sizes are falling. Aim and shoot different weapons at the pig mobsters, you have a limited amount of ammo. Take down the unbeatable evil clown and fight other enemies in Madness Accelerant. You are the last survivor of your team, you must infiltrate the enemy. Use barricades and dodge attacks. Stay alive in the arial view zombie shooting game. Play single player or cooperatively, and survive each wave. Help the hungry samurai panda collect all the sushi for points, and keys to unlock the next level. Flash first person shooter. Act as an assassin and eliminate the enemies in each 3D mission. Kill zombies from above with darts, guns, a big stomping boot and more to achieve points and more weapons. In this shooting game you are a sniper up on the hill. Your mission is to protect your military base. Point and shoot with the mouse to break away walls, supporting beams, and floors to create instability. Launch a ragdoll dummy out of a cannon at a stationary or moving target, trying to inflict as little pain as possible. Destroy enemies, collect cash, gain experience, and buy upgrades to customize your mech weapons and defenses. Complete your objectives in hostile territory and return home safely using sniper support and ground assault. The goal is to launch projectiles at various structures in order to eliminate all of the enemy targets contained within. Take on the role of a shotgun toting maverick in an attempt to kill the approaching zombies before they reach you. Here is a re-release of Crush The Castle with many new player created levels. Run around and launch arrows at waves of enemies in this top-down action shooting game. Make your way across the land destroying every castle you encounter with your catapult. Shoot the apple off your friends head using a bow and arrow. Don't miss or you might end up hitting your buddy. Fly around popping balloons in this arcade style shooter. The Bloons series has always relied on simple gameplay. Blast your way through waves of enemies while collecting weapon power-ups in this arcade spaceship shooter. Nostradamus is a fast paced arcade spaceship shooter with nice graphics and three types of weapons upgrades. Bombs are dropping and once again it is up to you to save the planet from impending mass destruction. Part one in a three part series of zombie killing mayhem. Custom build your trebuchet to take on three seperate challenges: distance, accuracy and power. The clockworks are attacking. Use your turrets to knock out approaching clockwork enemies. Shoot all of the targets in the room as fast as possible. Play Swat 2 sniper game and take on the role of a police sharp shooter. Protect the house from a zombie invasion for 40 days with the help of fellow survivors and heavy firepower. A first person shooter game similar to Wolfenstein 3D. Find weapons and armor to shoot the monsters. A fun game once you get used to the controls. This is a Flash port of the classic 3D first person shooter by ID Software. Defend the castle for 25 days from the invading enemy threat. Upgrade bows and arrows. Hire support units. Choose your team and enter battle in a deathmatch style shooting mayhem. Many weapons and abilities. Defend your building from the approaching troops, artillery, trucks, tanks, helicopters and more. Team based deathmatch game with story elements. Campaign, challenges, and quick match play included. Still Alive is a well balanced shooting defense game. Start with a 9mm pistol, defend the hut from walking undead. Use your grenade launcher to protect your city. Use your jetpack to collect ammunition as you parachute to your city. Shoot all the aliens that stole the cowboy's whiskey. Kill every alien before you run out of ammo to pass the level. You woke up in the middle of a zombie apocalypse, you must survive the next 40 days when help will arrive. A zombie virus has swept the city and everyone must evacuate. Wait for your brother and fend off zombies. Use your sniper skills to eliminate all the trolls. The trolls can be anywhere on the screen, they are very sneaky. Feed the hungry yellow ducks and destroy red ducks. Select food or bombs to launch at the right targets to gain points. Aim your cannon to collect all the coins to beat all 30 levels. Shoot Indi to collect all the coins, use objects in the level. Hit the targets with dummies in this physics puzzle game. Control the cannon and gravity to try to maneuver the dummy. You are stuck in a creepy carnival with lots of zombies, some dressed as clowns. Use a submarine to save drowning men in this psychological puzzle game. You must break their chains. Choose your weapon and furry animal to protect your barracks from hordes of pot-hungry undead hippies. Use your Zombooka to shoot the Zombies or shoot other objects to kill the Zombies in a number of imaginative ways. Destroy the inhabitants of the castle by launching projectiles and demolishing their fortifications with your catapult. Defend the magic mushrooms from hungry bunny rabbits, giant bugs, porcupines, and other invading creatures. Sniper shooting game. Spot the correct target by following the directions from the mission briefing to complete levels. Defend your land and citizens from the invading conquistadors with a barrage of conventional and unconventional weapons. Awesome side-scrolling shooter with detailed character graphics and textured backgrounds. Fast-paced side scrolling shooter game with lots of different enemies including level bosses with various attacks. You can upgrade your mech with lots of different weapons in lots of combinations. Retro shooter where you must defend the three gun stations from enemy attack. Cool explosions and light effects. Defend your base, or nest, from incoming enemy ships by shooting them and placing defense turrets. Progress through multiple levels consisting of different towns and waves of brain eating zombies. Part two in a three part series of zombie killing mayhem. Similar to classic arcade first person shooters such as Lethal Enforcers. Developed as a "tribute" to Raiden I and Raiden II which were very popular arcade games back in the 80's. Awesome fast paced space shooter with upgradeable weapons. Protect your local bar from the invading bunnies with a wide range of weapons. First person shooter style gameplay with lots of different environments and a great storyline. Ragdoll Cannon Remake requires you to shoot a ragdoll out of a cannon and hit the target to pass the level. Space Pips is an asteroids type shooter with great graphics and smooth gameplay. Save the earth from the green aliens by shooting them with your solar cannon. Defeat waves of enemies and defend your base with up to four unique weapon turrets. Break down the enemy barracades with your custom trebuchet launcher. Defend the house by shooting the troops, artillery, and trucks that approach.